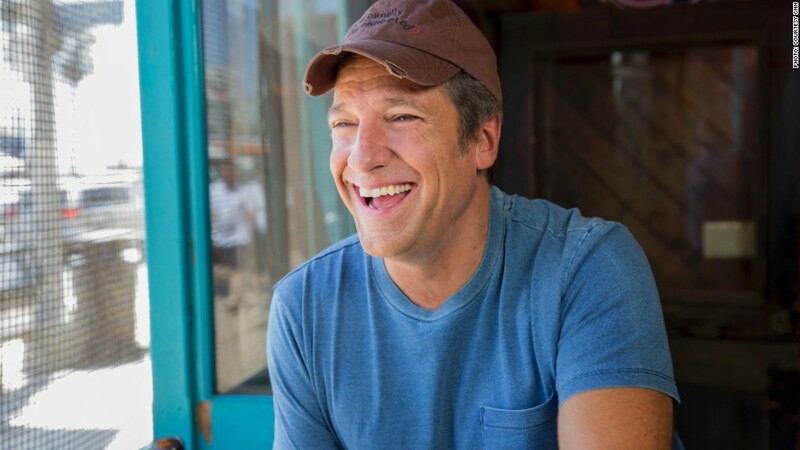 Mike Rowe and CNN have plenty to smile about after "Somebody's Gotta Do It" brought in a huge rating Wednesday. CNN's strategy of taped nonfiction shows in prime time was buoyed on Wednesday when the new series "Somebody's Gotta Do It" scored the channel's highest premiere ratings yet. The 9 p.m. series, which follows Rowe as he meets people behind some of society's strangest jobs, attracted 507,000 viewers in the prized cable news demographic of adults ages 25 to 54. It had 943,000 total viewers. CNN typically draws fewer than 200,000 viewers in the 25- to 54-year-old demographic at 9 p.m. weekdays. Shows like Rowe's — what CNN calls "original series," distinguishing from newscasts or talk shows — cost more to produce than newscasts do, but tend to be more popular and can be replayed many times. One of CNN's first originals, "Anthony Bourdain: Parts Unknown," which follows Bourdain as he eats his way through exotic locales, opened to 282,000 in the same age demographic back in April 2013. The ratings bar was raised by John Walsh's "The Hunt" in July of this year. Walsh's crime investigation series drew 330,000 viewers in the 25- to 54-year-old demographic when it debuted. Now the bar has been raised once more by Rowe. "Somebody's Gotta Do It" — which was heavily promoted ahead of time — most likely attracted viewers from Rowe's old home, the Discovery channel, as well as from other cable news channels. Among cable news channels, CNN still ranked No. 2 in the hour, behind the usually-dominant Fox News talk show "The Kelly File," hosted by Megyn Kelly, who had unusually high ratings. But Rowe's program more than tripled MSNBC's "The Rachel Maddow Show" in the demo. CNN's other original series have included "Chicagoland" and "This is Life with Lisa Ling," both at 10 p.m.
"Chicagoland" opened in March to 227,000 viewers in the 25- to 54-year-old demographic. Ling's program debuted last month to 233,000 viewers in the demo. These viewership figures are from the overnight ratings provided by Nielsen, so they don't count something that's especially important for taped series: delayed viewing through digital video recorders and video-on-demand systems.